The York County Conservation District is pleased to announce a funding opportunity for farmers and private land owners in York County, Pennsylvania. In 2014, the Department of Environmental Protection issued a water quality certification for the continued operation and maintenance of Exelon’s Muddy Run Pumped Storage Project. Exelon wishes to preserve this virtually emissions-free generating capacity and its electrical output, while enhancing both environmental integrity and local community relationships. A condition of the certification requires that $4 million be provided by Exelon to fund a variety of projects through 2030 that will help Pennsylvania achieve commitments to protect the Chesapeake Bay. 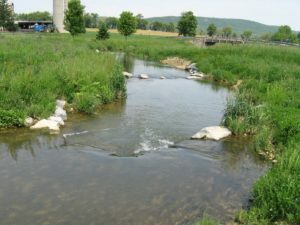 Pennsylvania’s Chesapeake Bay Watershed Implementation Plan identifies priority best management practices to achieve its goals of reducing total nitrogen, phosphorous and sediment. 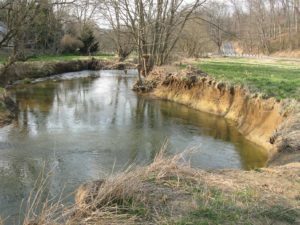 Water quality in the Chesapeake Bay has degraded to a poor condition and, despite extensive restoration efforts, the poor water quality has continued. This required the U.S. Environmental Protection Agency (US EPA) to establish a “pollution diet” for the Bay, called a Total Maximum Daily Load (TMDL). The TMDL identifies pollutant reductions from major sources of nitrogen, phosphorus, and sediment that are needed to restore the Bay and sets pollution limits to meet water quality standards established for the Bay and its tidal rivers. 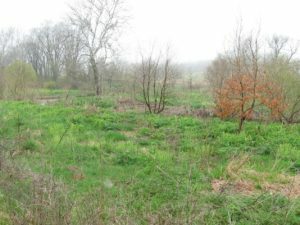 The District is encouraging landowners to implement priority Habitat Improvement Projects. Priority funding will be given to projects that include forested stream buffers of at least 50 feet in width and wetlands creation projects. In addition, projects that provide long term protection and/or maintenance (through deed restrictions, conservation easement, or other maintenance protection) are preferred. 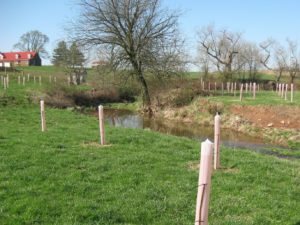 The District will seek to leverage the Exelon HIP Funds with other funding sources and will work with government and non-government organizations to implement habitat improvement projects. If you are interested in learning more about the program click on the guidelines below or contact the District staff listed. For more information about ag-related BMPs, contact Mark Flaharty, Ag Resource Conservationist at 717-755-2966 ext. 106 or e-mail mflaharty@yorkccd.org. 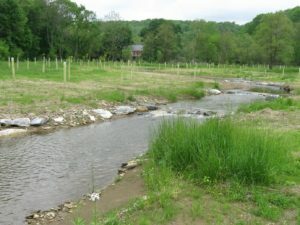 For more information about other habitat improvement BMPs, contact Gary R. Peacock, Watershed Specialist, at 717-840-7687 or e-mail gpeacock@yorkccd.org.